We’re thankful that you’re part of the Florida Blue family! 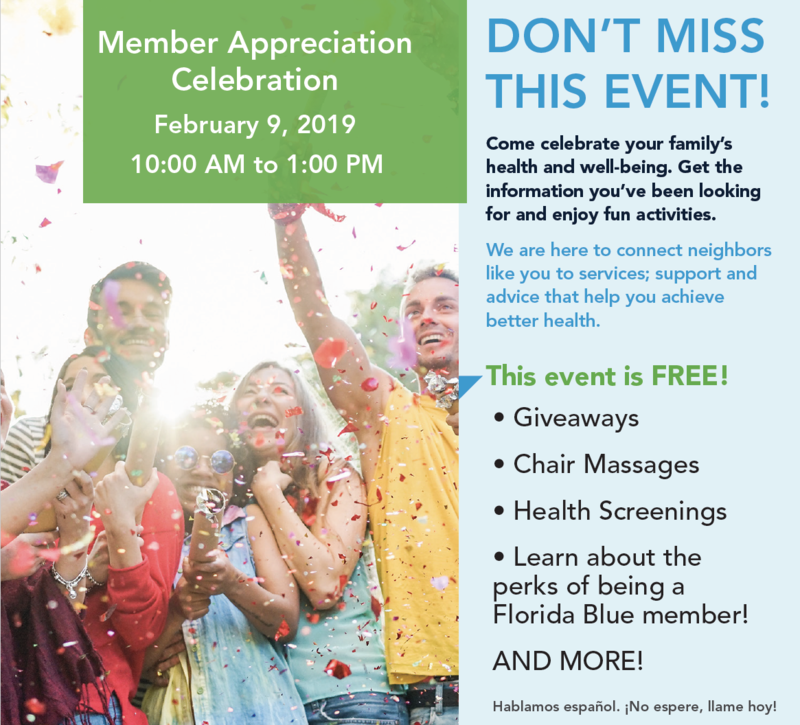 To show our appreciation, we’re hosting events at Florida Blue Centers across the state on February 9 with food, fun, giveaways and more. Our Center staff is excited to meet you and tell you all that’s available to you there. There’s no cost to attend, and you can bring friends and family along. Plan to join us! Click on Center nearest to you from the list below to get all the details and RSVP.